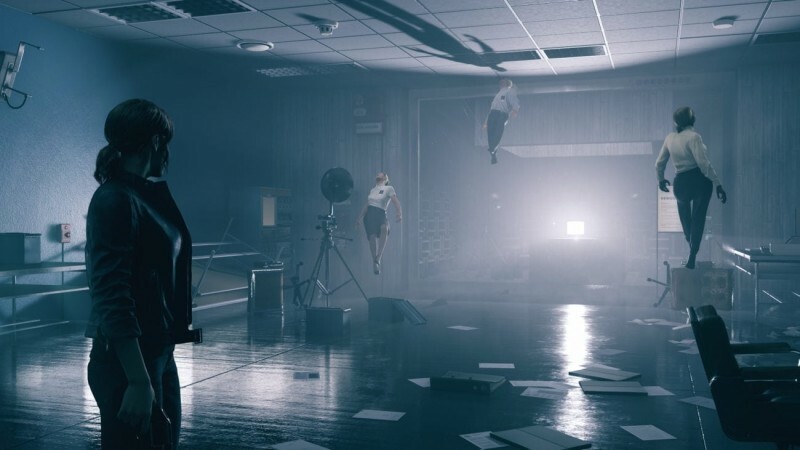 We've been releasing new features and videos about Remedy's latest game, Control, for the past few weeks, but one nagging detail has remained elusive: When the heck is this thing coming out, anyway? We knew it was coming sometime this summer, but we didn't know the exact date. Today, an entry on Microsoft's online store accidentally revealed the release date, which we have confirmed with Remedy. What are you doing this August? More specifically, what are you doing August 27? That's when the game will be available on PlayStation 4, Xbox One, and PC. For a whole lot more about the game, click on the image below and visit our coverage hub. It's loaded with exclusive interviews with the dev team and behind-the-scenes information. It definitely has some interesting ideas so I hope it ends up being good. Control is Jesse Fadens’ story. The main plot focuses on her personal search for answers as she grows into the role of the Director. The world of Control has its own story, as do the allies Jesse meets along the way. Side-quests and Secrets are everywhere. Jesse works with other Bureau agents, decodes cryptic ciphers and discovers strange Bureau experiments. Yeah I heard Quantum Break was ok I personally enjoyed Alan Wake. I hope Control turns out to be decent since this is is the first time they have gone multiplatform for quite some time. I loved Quantum Break, but it was no Alan Wake. I swear to god if they made a worthy Alan Wake sequel, gamers would rejoice. I loved Quantum Break, but it was no Alan Wake. I swear to god if they made a worth Alan Wake sequel, gamers would rejoice. I enjoyed QB too. I didn't like the TV stuff that much, but it didn't ruin the experience for me. Alan wake was better. Remedy makes good story driven games. They are very underrated IMO. I'm looking forward to playing Control. The way you progress through the game sounds similar to Super Metroid (exploration, unlocking abilities etc). So for those that thought Quantum Break was too linear, this will be a welcome change of pace. This isn't going to sit well with Alan Wake and Quantum Break fans on the Xbox and PC. Sadly the game looks like hot garbage. I wish Alan Wake would wake up. Oh I know. Oh well. Life goes on. I got to play Control at GDC, it’s actually quite good from what I saw. It was only a twenty minute demo, but movement and combat felt nice and intuitive. You have one weapon throughout but it can be modded and upgraded to behave differently. It’s still going to be mostly linear but with a bit more freedom, slight RPG elements with a Metroidvania twist.